Reeling from the shocking revelation at the end of STARGATE SG-1: Hostile Ground, Colonel O’Neill’s team continues its quest to find a way home. 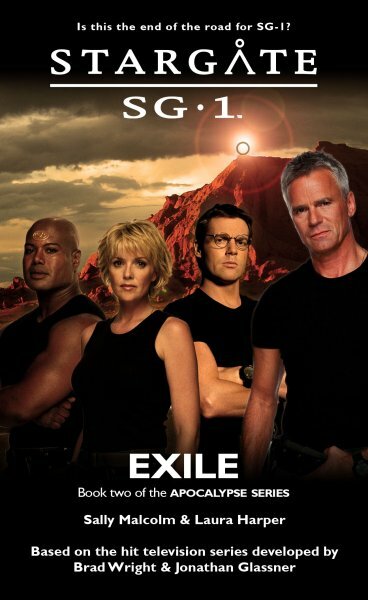 But as SG-1 comes to terms with new circumstances, they find themselves divided. With tensions mounting, the team undertakes a dangerous rescue mission on behalf of their new allies – and O’Neill makes a decision that will threaten the future of his team. Daniel cast a surreptitious glance at his captor and wondered whether he’d seen the creature before. It was difficult to tell with such alien features, but he thought he recognized the tattoo on the side of the Wraith’s face. Could it be one of the Wraith who’d held them captive in the pods? “Now where?” Jack said from up front. He’d stopped in a slight clearing, the undergrowth thinning out but with no obvious path ahead. Without releasing Daniel’s arm, the Wraith stalked past Jack and started clearing away branches and leaves to reveal the foundations of a brick wall and a flight of stone stairs that led to an underground doorway. He gestured for the others to precede him down the steps. “I don’t think so,” Jack said. It was subtle, but Daniel noticed the way his weight moved forward onto the balls of his feet, how his grip on his weapon shift ed. He was getting ready for a fight and Daniel did the same; they all knew that he’d be the first victim if things got ugly and he didn’t plan to make it easy. Teal’c’s staff sprung into life and Sam thumbed off the safety on her MP5. Daniel braced himself, waiting in hope for the mistake that would let him free himself and run. But it didn’t happen. Instead, the Wraith spoke. “Trust me or you will die,” he said, baring teeth in a way that didn’t exactly encourage trust. “Don’t you mean ‘Trust me and you will die?’” Jack said.